It is now November! Can you believe it? Where did my October go? I got this just over a month ago and I must admit I do have a love-hate relationship with it. I do like the idea of it, I think it's brilliant. For someone who doesn't have the luxury of having enough time getting ready during the day, this is a great product. Like I said, in theory it is awesome. You hop in the shower and do your routine and finish it off with this product and voila you're left with a soft skin and you're ready to just get dressed. So you basically skip a step and saves time. That's the theory at least. It does work for me to an extent. I am someone who loves her moisturisers. I know some girls (and boys) who can't stand the feel of lotions in their body on daily basis. I am the opposite, I can't stand the feeling of no lotion. 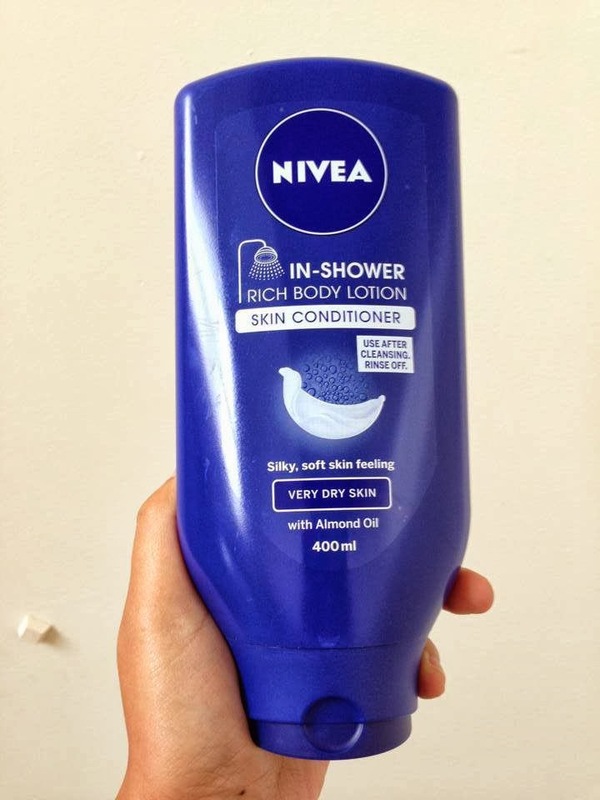 So while this In Shower Rich Body lotion does leave your skin somewhat moisturised and silky-smooth right after shower, I need more so I still end up applying my moisturiser but that's just me. However, there are days when I feel this is enough moisturiser for the day and that's usually on hot and humid days and I say a silent hallelujah in my head because I don't have to feel sticky all day. I would definitely recommend this to those who hates the greasy feeling of lotions but want that silky-smooth feeling after a shower. I think it is really a great idea..finally! As for the saving time, well I am not entirely sure about that because you may have skipped a step in your post shower routine (ie, applying your body lotion) but really you are just doing it in the shower. All in all, I love this product for what it does to my skin. It's not a holy grail and for sure other brands will jump in this bandwagon and introduce their own version soon or repromote if they have it already. Oh if there is one thing I hate about it is the squeeze-bottle. I mean you are all wet and after one application your hands are slippery as making it so hard to squeeze the bottle again for more product. In other words, I wish they have put a PUMP to dispense the product. It would have been much easier to work with.